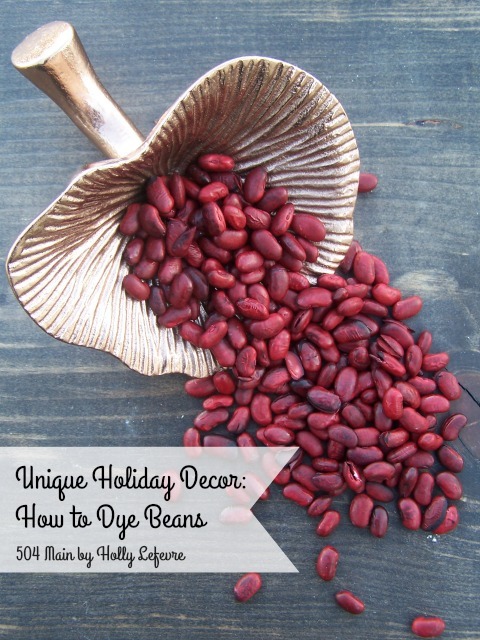 There are so many ways to decorate with dyed beans - place the in gorgeous glass jars, lay them on pretty platters and add some candles, surround vases or plants - the possibilities are immense! Times a wastin', so lets just get right to it! Dried beans. I used Lima and Great Northern beans. Jars, jugs, bowls or buckets that are waterproof and stain proof (or designated for DIY's). I used half gallon mason jars. Gloves and drop cloth/plastic/paper to cover your work area. Cover your work area to protect it from any spills. 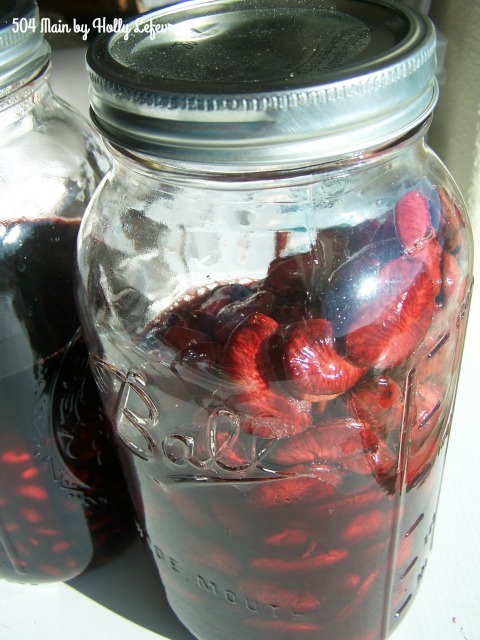 In each jar, add 1 quart of warm water. Add 1 Tablespoon of Cocoa Brown. 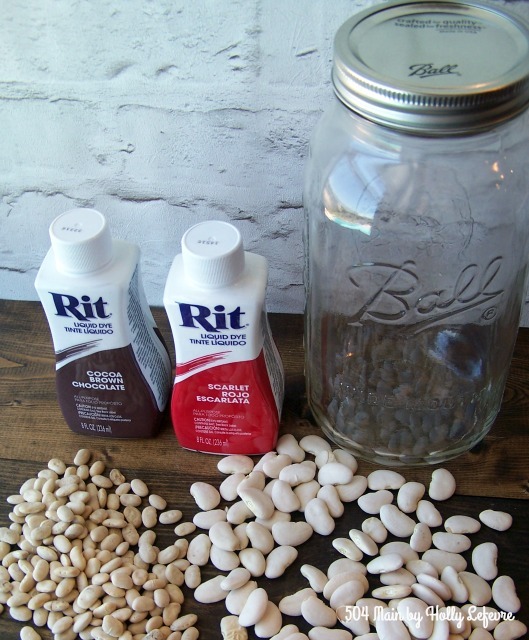 Add half the bag of beans to each jar. Let sit a minimum of 5 hours to overnight. 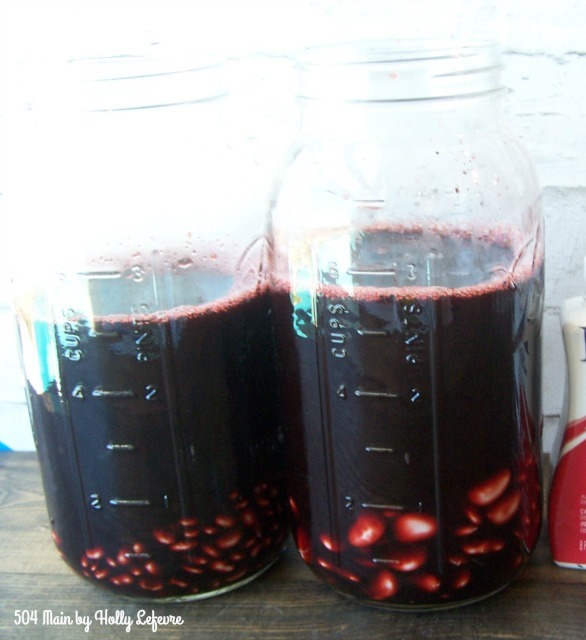 After about 5 hours, my beans had absorbed the dye and I could have taken them out, but I waited overnight. Rinse the beans. 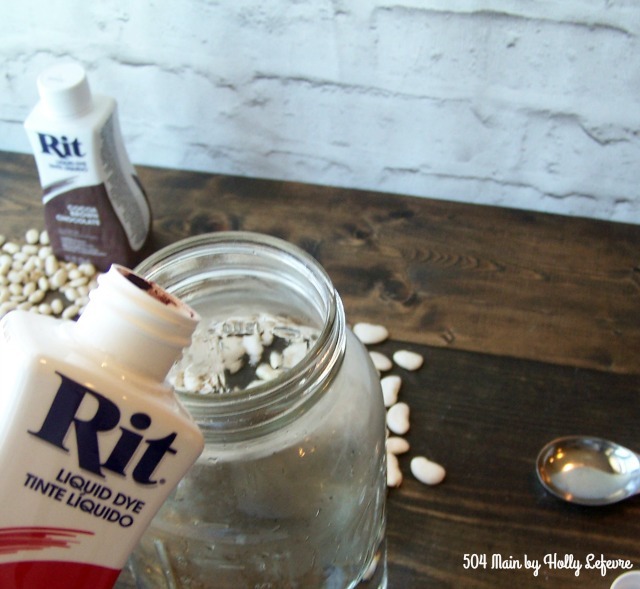 Be careful this is dye and it can stain certain tile, stone, and fabrics. CHECK THEM OFTEN AND MOVE THEM AROUND. After removing the beans from the oven, I used an old towel (you can use paper towels too). I spread them on the towel to absorb any additional moisture. 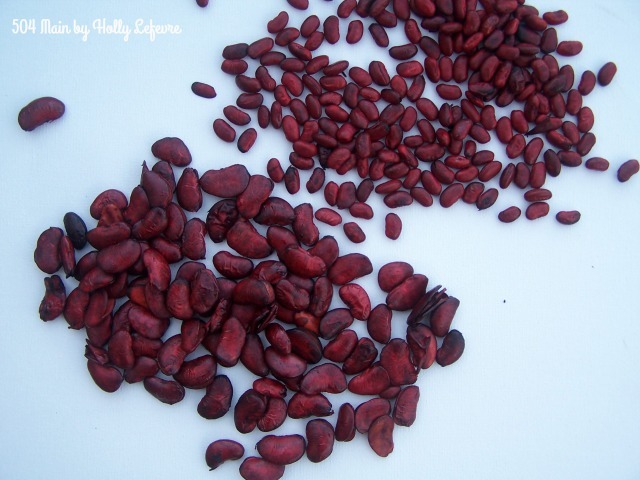 *If the beans are not dry, they can mold due to the moisture. Let cool and get creative! My final "look" involved a plant I purchased at the grocery store for $10, some light colored moss and a gold charger (from my wedding!). Usually I go a little crazy and keeping adding elements, but I kept with a more minimalist look (for me anyway) for the final centerpiece. 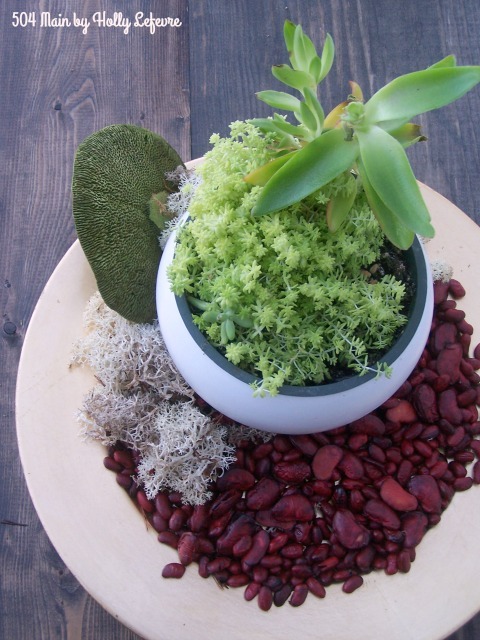 I place the plant to one side on the charger, added the moss around the back and side (asymmetrical) and then filled the charger with the beans. 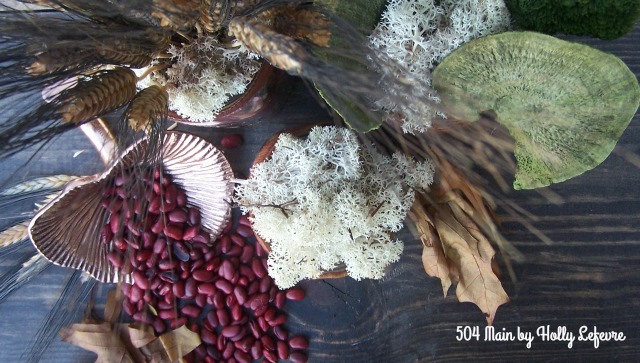 You can also combine them with natural elements...The Marsala color pairs well with earth tones. 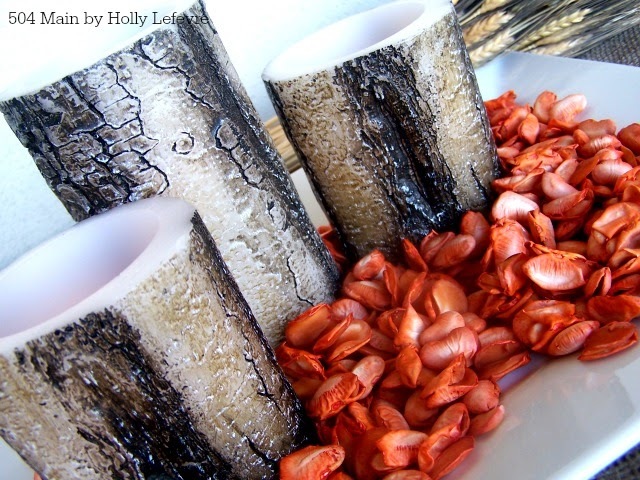 Last year, I dyed them orange and I used them around the base of candles for our Thanksgiving centerpiece! I may do this again for another space in the house with my new beans! 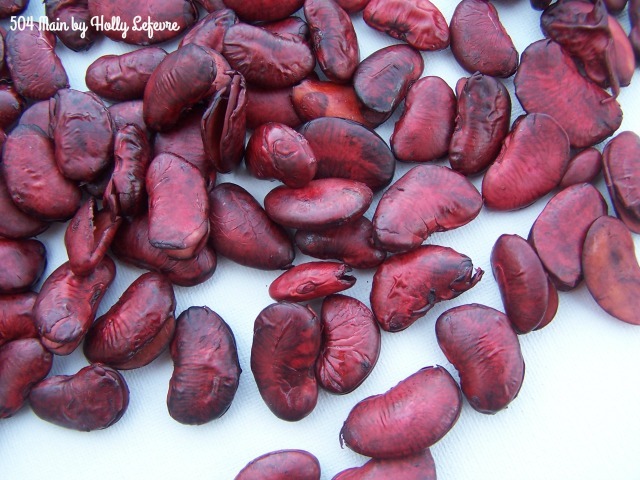 So, what do you think about dyed beans? They are pretty aren't they? !